A sleek recovery solution that looks like stock! Rough Country's Hidden Winch Plate for '07 & up Chevy / GMC 1500 offers a stylish approach for adding a recovery system to your pickup. Hidden install behind the front bumper. 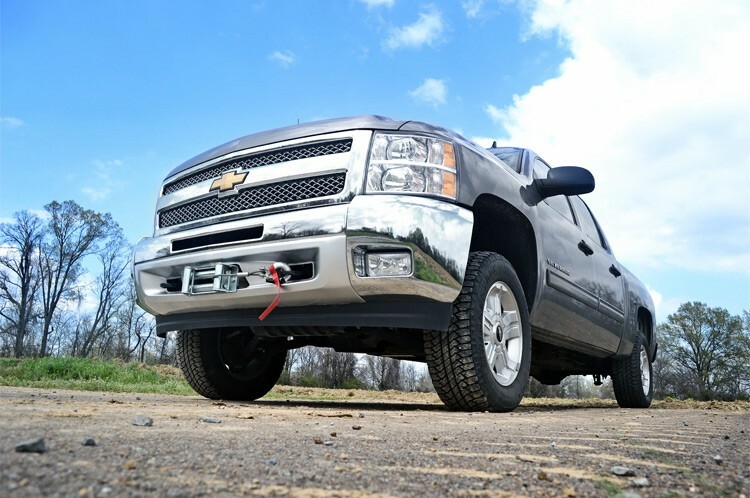 Does NOT require moving the factory bumper - Front bumper stays in stock location! Does NOT impede airflow to the radiator. 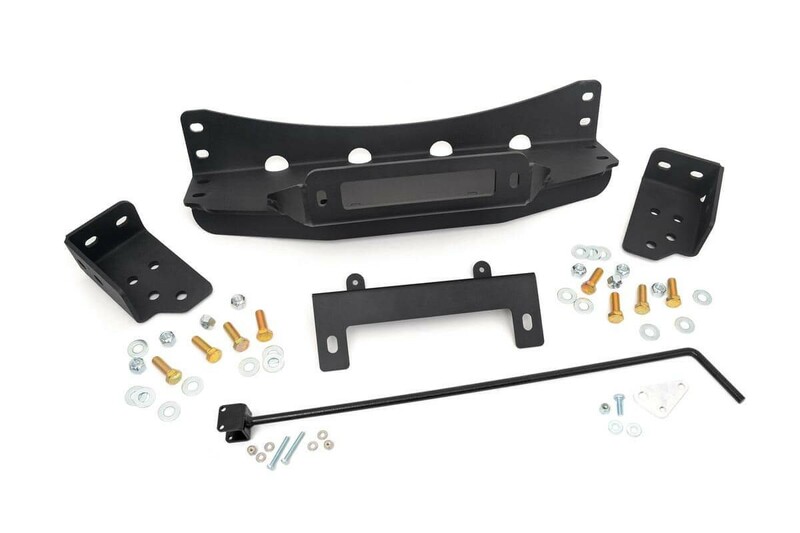 License plate bracket maintains the ability to run a front license plate. Engage lever allows easy access to engage/disengage the winch. Will accommodate most winches on the market (Standard 4.5in x 10in 4 bolt mount). Built from heavy-duty 1/4in thick steel. Does NOT work with oversized winches or those that include air compressors. Does NOT fit models with a body lift kit installed.